Within the Roasted Vegetable, Revised edition, Andrea Chesman is returned to show domestic cooks, vegetable fanatics (and haters), and every person who loves to prepare dinner, how every vegetable possible can be oven-roasted to succulent perfection. This huge-ranging series of one hundred seventy five mouthwatering recipes is sure to delight even the fussiest eaters. With recipes from surely sensational aspects like blended Roasted Mushrooms in a Soy vinaigrette to fulfilling most important dishes like Baked Orzo with Roasted Fennel and crimson Peppers, vegetable enthusiasts and vegetable haters alike will locate right here tasty, tempting dishes that do not require a lot of fuss. Now with four-colour images to whet each appetite!. Andrea Chesman has been a food writer, cookbook author, and editor for three decades. 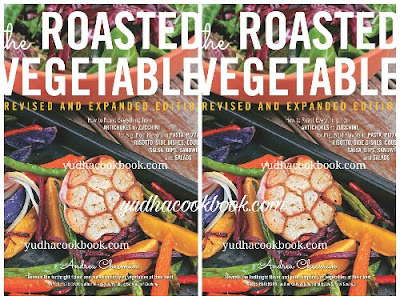 Roughly half of the books she has written focus on vegetable cooking. These include The Pickled Pantry, Serving Up the Harvest, and Recipes from the Root Cellar, all published by Storey, and The New Vegetarian Grill, published by Harvard Common Press and a James Beard Cookbook Award nominee. She also has written for The New York Times, Fine Cooking, Food & Wine, Eating Well, Cooking Light, Vegetarian Times, and Organic Gardening. A graduate of Cornell University, she lives with her family in Ripton, Vermont, near Middlebury.